These sweet roasted almonds are so easy to make and are a great treat to have around the house! 1. Pre-heat oven to 300°. 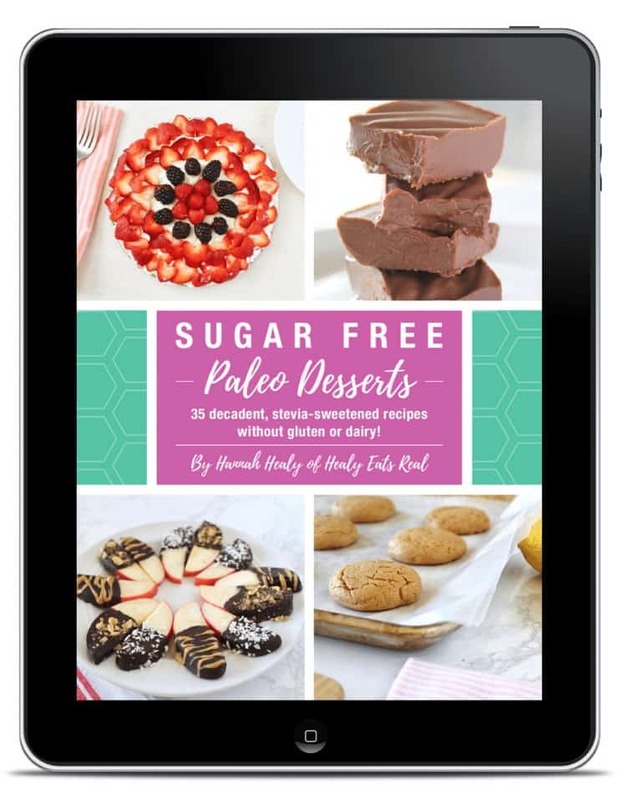 In a bowl put almonds and melted coconut oil along with coconut sugar, cinnamon and salt. Save the shredded coconut oil to top after roasting. 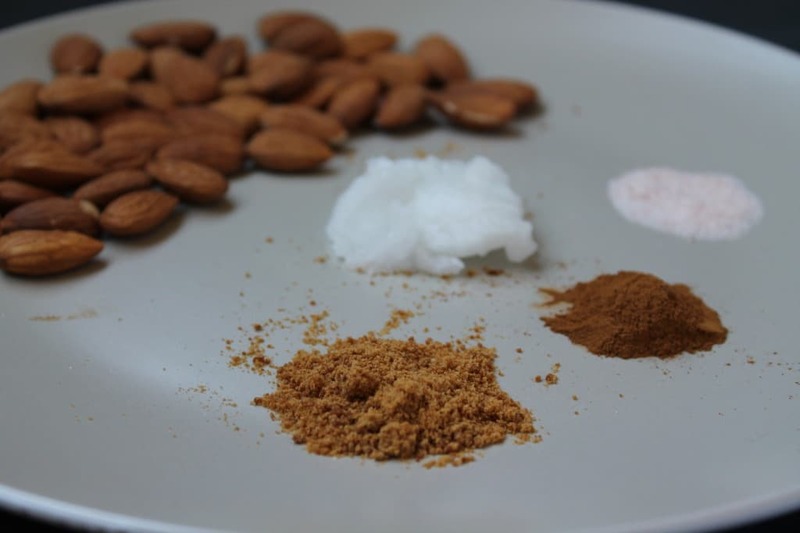 Mix almonds around to evenly coat with seasonings. 2. 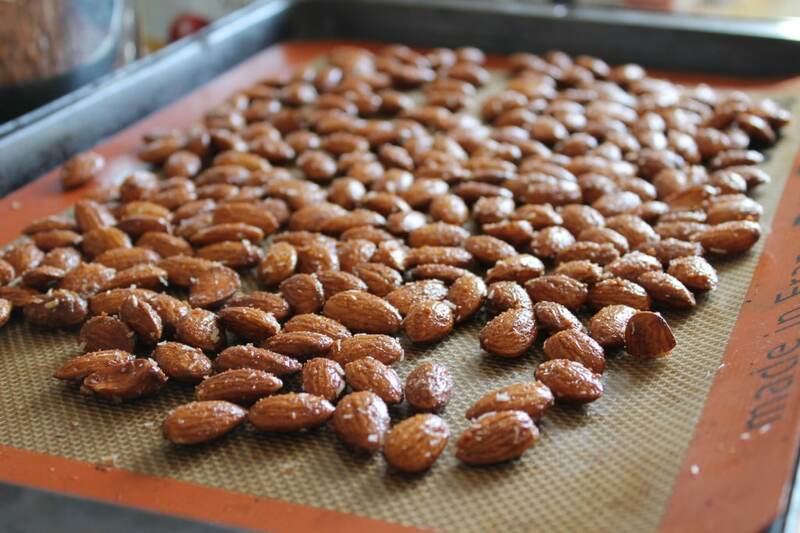 Place almonds on a baking sheet lined with parchment paper or a silpat. Put in the oven and bake for about 10-15 minutes. 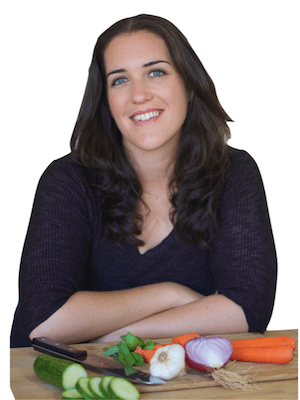 Check periodically to make sure almonds don’t burn. 3. 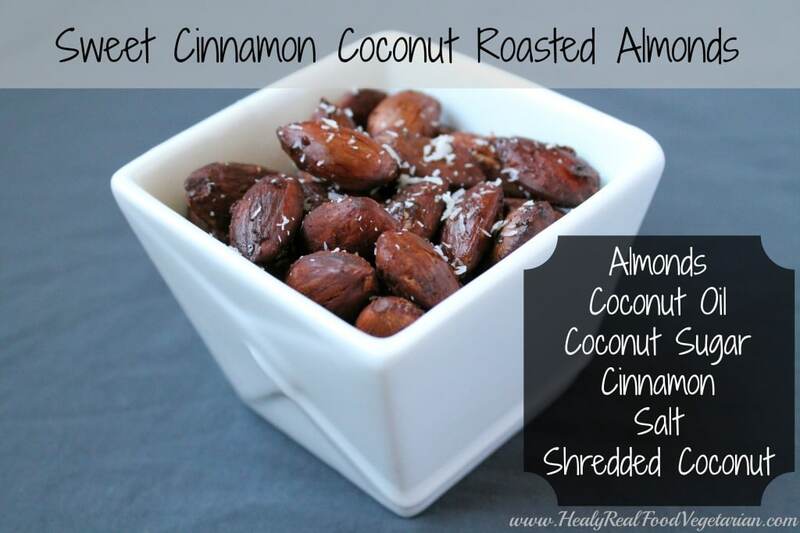 Once you’ve taken the almonds out of the oven, sprinkle with shredded coconut and serve. Yum….. I just made these and they were delicious! I didn’t have coconut sugar, so I used Jaggery. Thanks for sharing!